Over 65% of US households have at least one person who games 3 or more hours per day (ESA 2017). As usage increases, consumers may come to a critical juncture where they cross into maladaptive consumption (Gao et al. 2014; Martin et al. 2013). We define behavior as maladaptive when consumption levels excessively extend beyond societal norms and are associated with increasing risk of significant harm if undeterred (Herie 2007). Maladaptive behavior has characteristics of compulsive consumption (e.g., urge to engage in behavior, control issues) and overconsumption (e.g., consuming more than intended) but is conceptualized as an ongoing, dynamic process in which personal goals/habits and external mechanisms strongly shape adaptive/maladaptive usage. Our focus is not on the goal of cessation, but understanding the process in which behavior approaches a point of harm in one’s life and how consumers may recognize this threshold in order to begin to reduce consumption to adaptive levels (O’Brien and Klein 2017). This research explores consumption behaviors in the context of online gaming and seeks to understand the behavioral transition between maladaptive and adaptive consumption. Depth interviews with gamers and an online blog of gaming behavior were analyzed. Our evaluation of the blog and interview data finds that based on different motivational structures, the gamer’s desire to increase and the lack of self-control to decrease consumption adversely affect their life through various types of harm. Four consistent themes surrounding the construct of harm and how the realization of these types of harm (financial, physical, emotional, social) provided the impetus needed to reduce consumption to adaptive levels. We also found common themes as to why consumers turn away from maladaptive consumption (e.g., realization of shift from real to online world, hurt to loved ones) and form boundaries around behavior to instill a sense of protection and control (Scott et al. 2015). Given the evidence for maladaptive behavior and harmful consequences from this initial study, future research is needed to further understand consumers’ intense motivations for engaging in maladaptive gaming and marketers strategies for promoting usage at both adaptive and maladaptive levels. Deterring maladaptive consumption at this transitional stage may ultimately prevent harm from behavioral addiction. 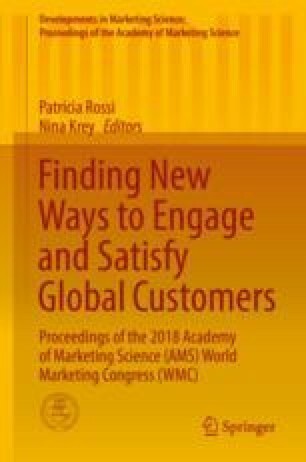 It may be in a firm’s best interest to increase loyalty among customers who are consuming in an adaptive manner rather than maladaptive, which may negatively affect the brand’s reputation or lead to legal consequences.